The Ducks are on the road which means a vast majority of you will likely be home this weekend. As we crank into November, you only have a few precious college football Saturdays left. For those of you that listen to the ScoopDuck podcast, you know I usually list out my five games each week. But not everyone listens so I'll list them below. Jeff Tedford has done some pretty remarkable things at Fresno State since his arrival. The biggest key thus far has done a really good job finding talent, many of them local, and embracing the community. 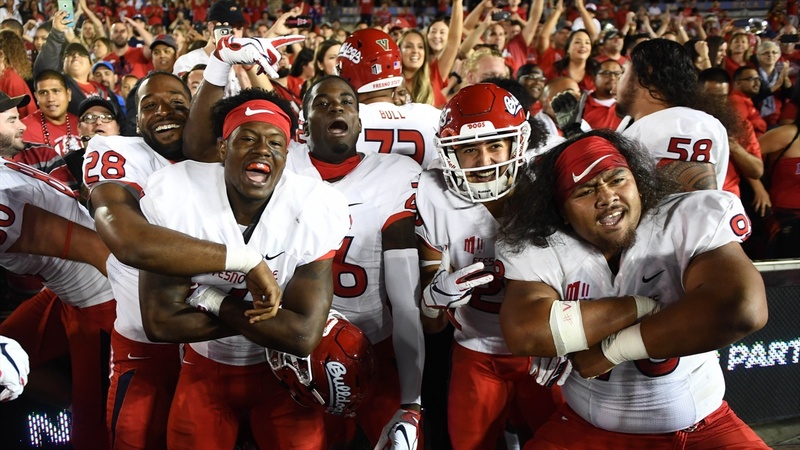 Fresno State fans can be quite fanatical about their football. Meanwhile Boise State, at 7-2, is that team you just don't want to face. Giant killers. This one could be a lot of fun. One of the very few top 25 matchups of the week. Ohio State has as much talent as just about anyone in the country. But there sure seems to be a lot of distractions around the team this season. I think this one has the makings to be an upset this weekend and should get your Saturday morning going right. Bedlam should be a fun one. Neither of these teams play any defense which should make for some fireworks. Oklahoma puts up points but they don't get much help on defense. And the mullett knows how to use his personnel to exploit mismatches. This one should just about be wrapping up by the time your Ducks take on Utah at 2:30. No, this one shouldn't be at all close. And I can't imagine it will be. Don't kid yourself. You'll pop this one on after the Ducks have cleaned up against Utah and hope to see some form of a 50-0 beatdown. I expect this one to be ugly but who knows. The only thing better than an Oregon win is a Husky loss followed by a Trojan win. Am I right? Well here is your nightcap with a surging Cal team and very disjointed USC team. Although Oregon could use some help moving up in the Pac-12 North, which means you need Cal to lose. Also keeping an eye on Wazzu at Colorado for some reason. If the Buffs can pull off the upset, it would be a boost for the Ducks.